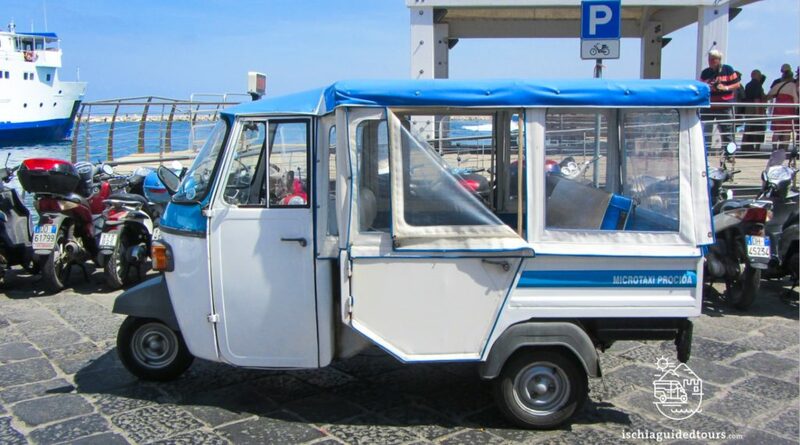 Discover the charming island of Procida in a typical Tuk Tuk Apecar! The tour of Procida is fun and vibrant! Get lost in the bright colours of Corricella port and Terra Murata and explore one of the smallest islands in Italy where time seems to have stopped. The tour starts from Marina Grande port, the main port of the island. 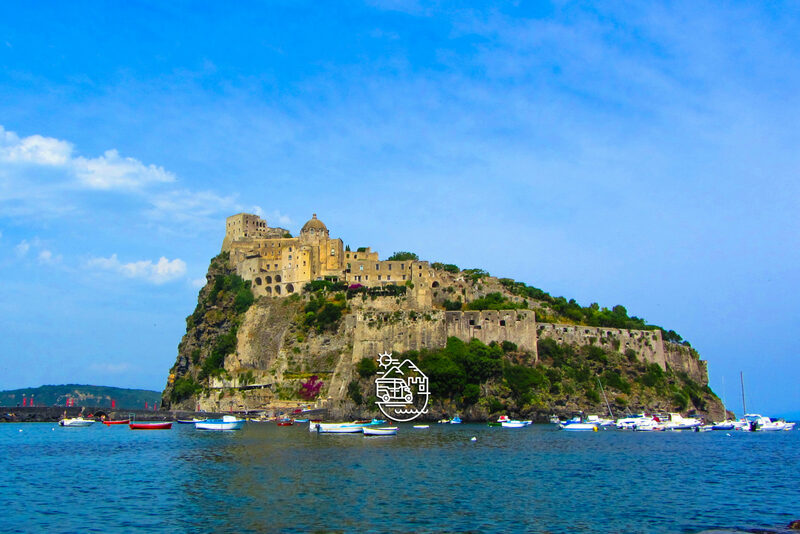 You will be taken around the island on a typical Procida micro taxi, stopping for photographs at picturesque locations such as Terra Murata, Marina di Corricella, Chiaiolella beach with the view over Vivara island, Punta Pizzaco and Chiaia beach. At the end of the tour we take you back to Marina Grande port where you can stop for shopping in Via Roma, have lunch in a typical fish-restaurant or try the famous local pastry, la “Lingua” (the tongue)! The tour includes micro taxi (or regular taxi, if preferred), driver and English speaking guide on board. The itinerary of the tours may change due to unforseen factors such as weather or traffic. The price of the tours doesn’t include lunch, drinks or entrance fees where applicable. Official tour guides are the only people authorized by the Italian government who are allowed to run tours legally after passing the regional exam and are then licensed as professional tour guides.